Christopher is one of the world’s leading marine abstract artists, with an impressive clientele of luxury resorts in Australasian and corporates gracing the Forbes Global 2000 list. He has developed a team-building platform for the delivery of an art based learning program with his ArtEnergy workshops for corporates and hotel groups. He has redesigned the world of artist in residency programs that defines and shapes the guest experience and is consequently sort out by major luxury resort brands worldwide. His artwork is collected by Regional Art Galleries in Australia and he has an impressive list of both corporate and private collectors from many parts of the world.  He graduated from Queensland University of Technology (QUT) with a Bachelor of Arts (Visual Arts) attaining a perfect score of 7, the highest mark possible, and subsequent invited entry into the Golden Key Honour Society, an International organisation that recognises exceptional scholastic achievement. He also has Diploma Fine Art from the Brisbane Institute of Art. He also majored in Sculpture and Art History. Of his unique, yet distinctively recognisable style of painting, Hogan joking comments, “I was driven to abstraction. There were enough artists painting ‘well-behaved’ landscapes and marine images without me adding to the list. Rather, I feel I contribute a contemporary slant through my depiction of these macro images. In essence, I reduce simple images to a series of spots and stripes”. The resultant compositions are striking paintings and sculpture that invite multiple interpretations from the viewer. On his sculpture, Hogan says, “I can’t explain the fact that whilst my paintings tend towards organic shapes, my sculpture is largely geometric, hard edged forms. A common denominator though, is embracing the wrongly termed ‘negative space’ as an integral part of the compositions both in 2D and 3D”. His study and work as a sculptor is present in the subtle manipulation of space and spatial relationships, a feature in all his unique designs. A seasoned artist, acknowledged for mixing contemporary original designs with the realities of the commercial world, Hogan has been making inroads into the international hospitality and resort design marketplace. Corporate design collections appearing in five star hotels and resorts globally provide dynamic visual interest, while commissions have been delivered on time and to budget. Hogan is fast gaining acceptance and a reputation for innovative design.